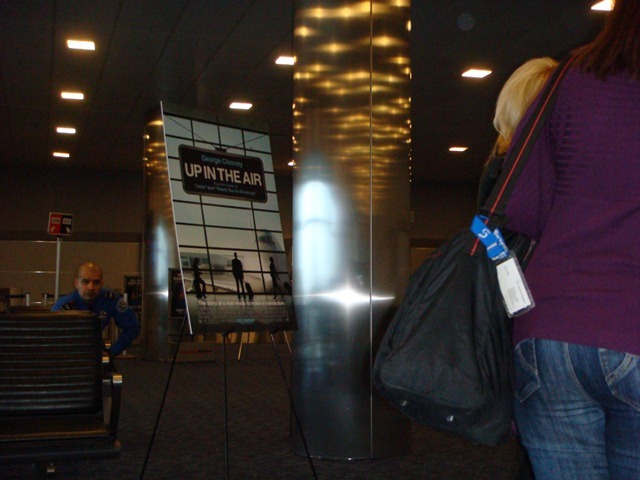 EXCLUSIVE: The Product Guy "Up in the Air"
122 Comments on EXCLUSIVE: The Product Guy "Up in the Air"
Recently, as a VIP guest, The Product Guy was invited to an exclusive cross-country private screening of Paramount Pictures’ film "Up in the Air," starring George Clooney, on American Airlines. And, out of this bicoastal adventure, I found many lessons that can benefit all in the social marketing and promotion of their own products. It was a rainy day in November. A day not unfamiliar to many business travelers. But, this day was different, the destination was not the goal. It was the journey that was to hold center stage, bathed in a moving bicoastal spotlight, through an immersive marketing engagement with both social, as well as other, media. 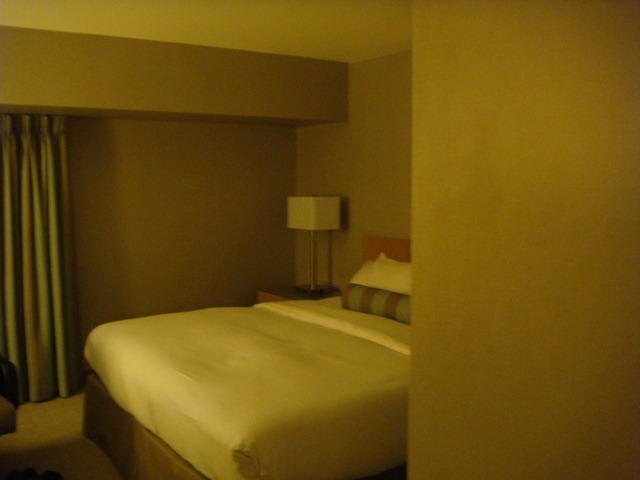 with an overnight stay at the Hilton Los Angeles Airport. And, out of this very awesome bicoastal adventure, I found many lessons that can benefit all in the marketing and promotion of their own products, in both online and offline worlds. 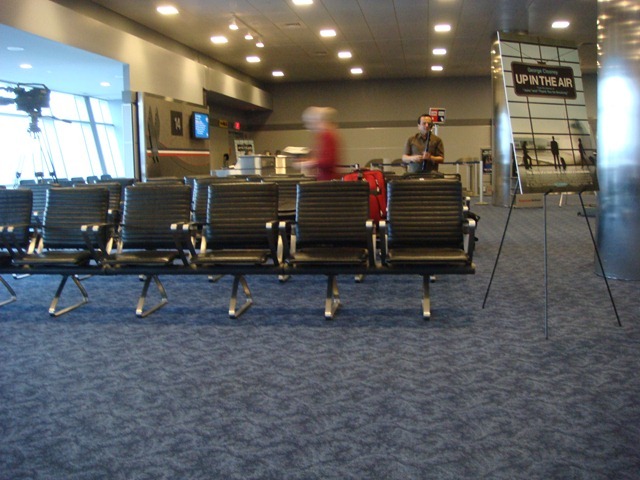 This airline terminal, of American Airlines, has now filled with many different types of people, from such industries as movie, journalism, technology, business, etc., all contributing to the pervasive spirit of reserved elation and excitement – as networking and introductions ensued, in wait for a nice, bubbly party. 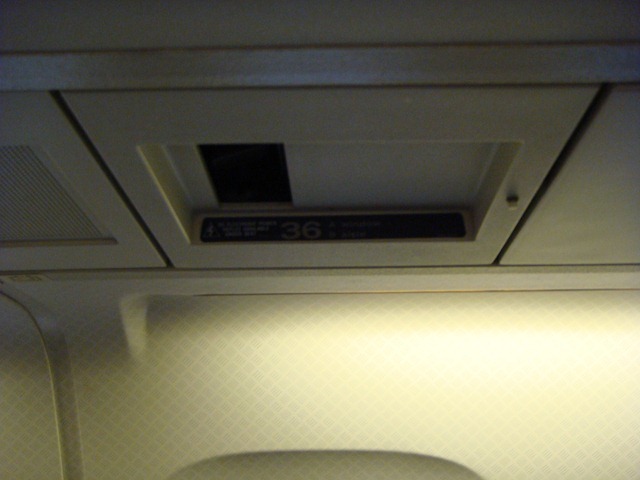 … for our scheduled 4 PM flight as I scour underneath rows of seats looking for the elusively scattered, power plug. Being sure to, like in the "Up in the Air" movie premiere we are about to be party to, not overlook these quirks that many the frequent traveler grows to not loath, but rather welcome as numbering among those endearing qualities that cement one’s affections for another, or makes that quirky place, even one as transient as air travel, the experience, altogether, your home. It is this sentiment that the movie seeks to capture, and does so superbly. It is this experience, and many more, the traveler’s experience, that resulted in American Airlines’ substantial involvement in this project. 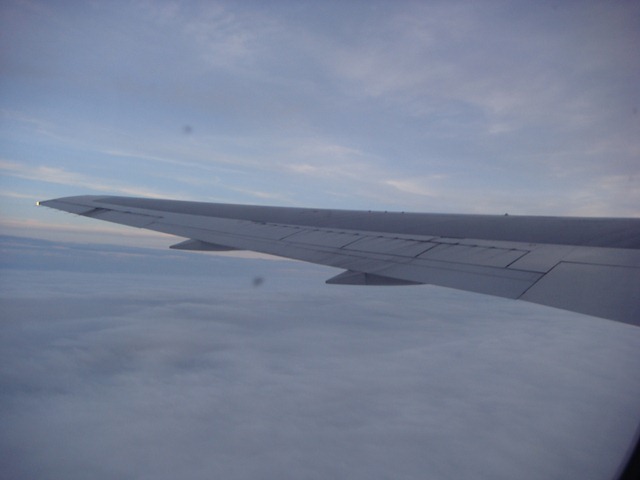 It starts off a rainy day as the journey begins, flying into the thick of clouds. The darkness brought about soon, rapidly disappears as the plane emerges into the dusty blue sky, with hints of setting sun. The sounds, the dull roar of peace settling over the cabin as the festivities, the reason for this journey, are about to begin. Here, everyone is a stranger, much like typical business travel with which we are all most familiar. 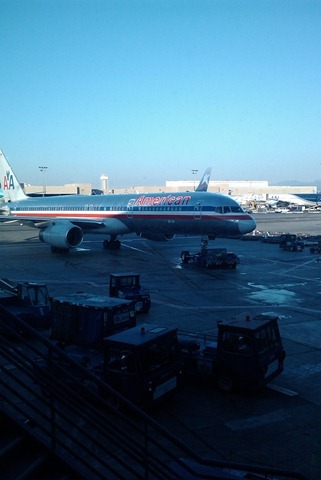 Although, in this case, invited by either American Airlines or Paramount. … 11 minutes ahead of schedule! … consisting of a turkey sandwich and a venti white mocha. 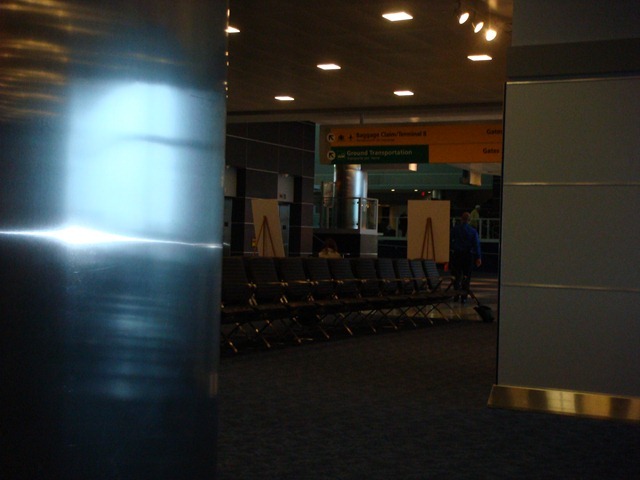 I began my journey back to NYC, the final leg of this adventure, by heading back to the airport in preparation for my un-delayed, non-VIP, Economy class flight. 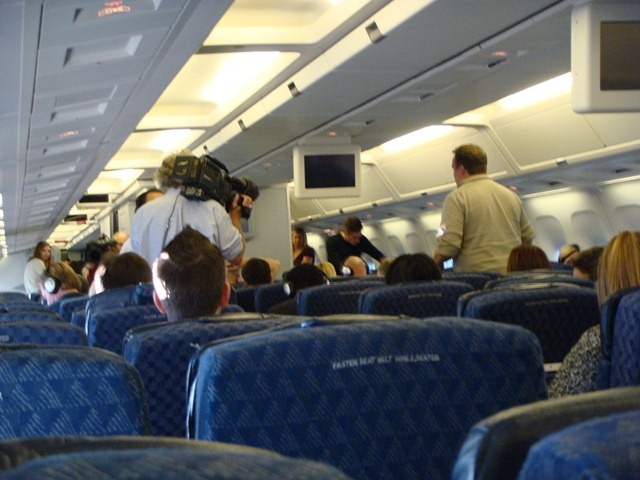 … from my vantage point in Economy class on this AA Charter flight. 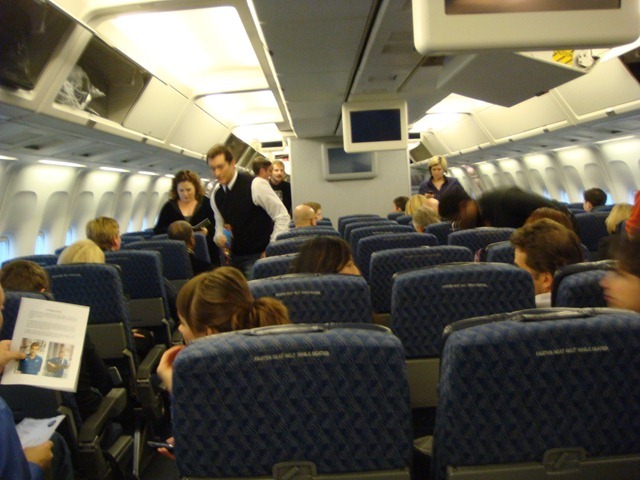 American Airlines’ social media program is still somewhat new, making for a great study subject. 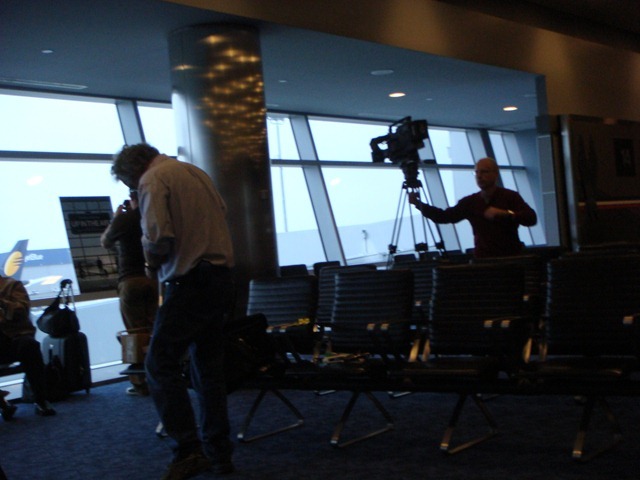 I started out by sitting down with American Airlines’ Billy Sanez, Director of Corporate Communications and Advertising & Promotions, and Chris Vary, Social Media Director, to begin my look into the inner workings and sharable lessons of this event. cultivating friendships with communities that are friends with their passengers. Billy refers to all this as "family building." By doing so, they see themselves as creating a community of engaged people. Their social media goal is in building a community consisting of people "with real voices and opinions" who "talk about it (AA), enjoy it (AA), tell us (AA) how to fix it (AA)." saw the overall project as a great way to show off their product, what they do — that they can take "him" (Ryan Bingham, the main character in the movie and on the broader stage, the generic traveler) there. Some great advice Billy Sanez had for others seeking to launch a social media initiative boiled down to commitment. Launching a social media initiative should be done because it is good for business, meets the needs of the business and product, not because it is cool, not because everyone else is doing it, not because you feel like you have to do it. For American Airlines, the social media initiative is a great way for them to reach out to target audiences across a diverse array of channels that the various social media participants represented, everything from business and entrepreneurial, to fashion and consumer electronics. When launching a social media initiative the company "must commit to it." You are setting yourself up for failure if you do not approach the social media initiative as a long-term strategy — much more than a brief initiative for a single event. Being committed to a social media initiative is more than planning for the long-term, but also making sure to have the proper and sufficient resources behind it. For example, having enough resources to monitor all the content out there that pertains to your product, can be seen as a good start. Create an immersive product experience. 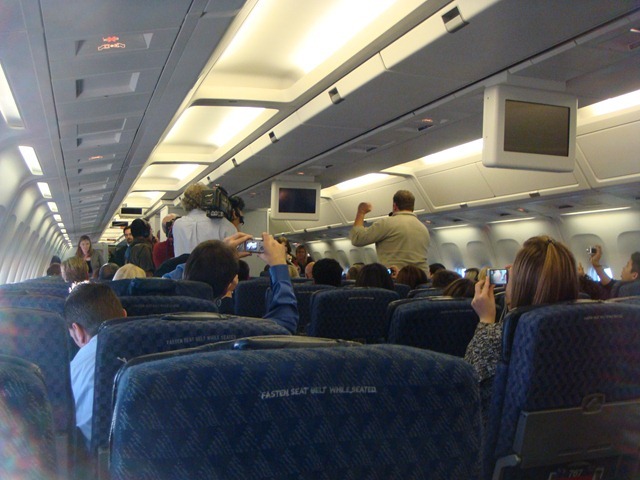 Most effective about this first ever movie premiere in the air was the totally immersive experience that they, American Airlines and Paramount Pictures, sought to envelope everyone in, simultaneously reaching out to and leveraging diverse social media communities. I became the main character in the movie, I was Ryan Bingham (George Clooney)! Immersing the user, or event participants, in the product experience makes more relevant the product’s characteristics, its benefits, its purpose for existing, while founding a strong and lasting emotional connection. Leverage diverse social media communities. By not limiting themselves to only the generic movie channels, American Airlines and Paramount were able to reach out to a much broader audience, generate more buzz across more spheres of influence. Anywhere there were individuals primed for either or all products being promoted, American Airlines and Paramount Pictures, increased their chances of reaching them. Have a pre-flight get together to introduce key players, American Airlines and Paramount responsible for assembling this trip, and those who will be available throughout the course of the event, as well as their VIP guests, and consider even allowing for a brief group Q&A to get the reporting and social media juices flowing. 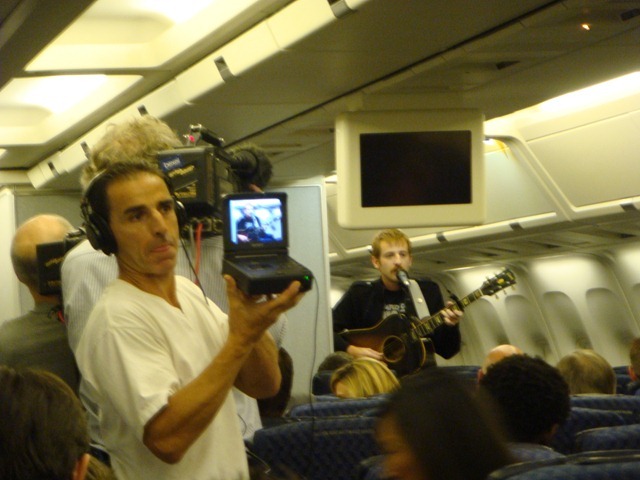 One of the parts of this trip that everyone was talking about, and I was particularly looking forward to, was the live in-flight concert by Sad Brad. 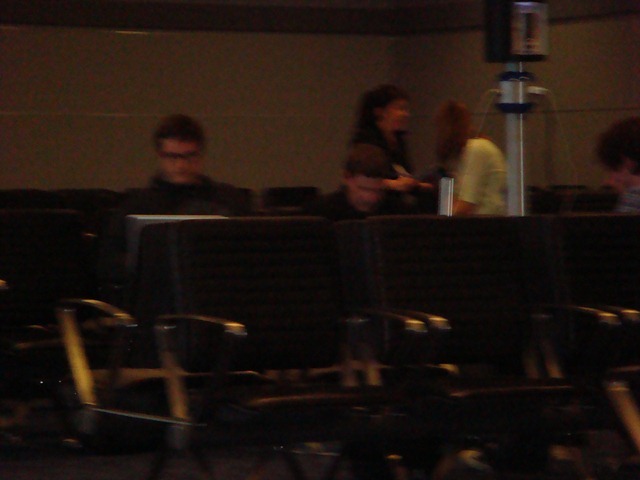 Disappointingly, while I could clearly see Brad, hearing the concert on the plane proved impossible for all but those sitting right next to him. 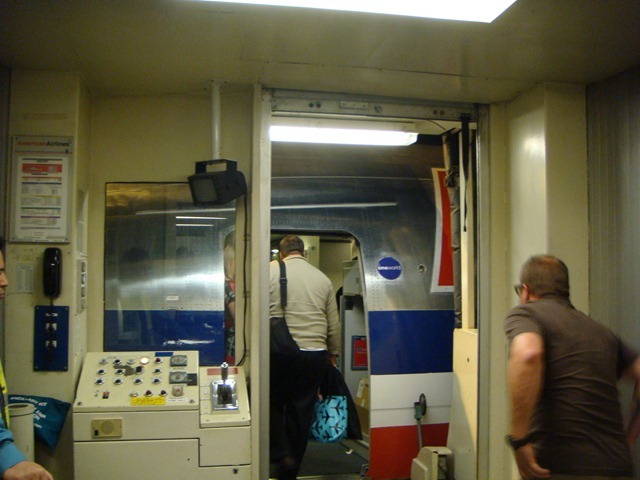 But, this quirk of air travel, and of trying something new, and something that should definitely be attempted again, provided a good learning experience — such as testing out the more technically challenging components of the trip beforehand. It would have been great to have been able to listen to the concert by plugging our goodie bagged Bose QC 15 headphones into the entertainment system. An often overlooked aspect of scheduling social media events is the "down time" for the participants to engage their social media audiences, work on their article writing, etc. 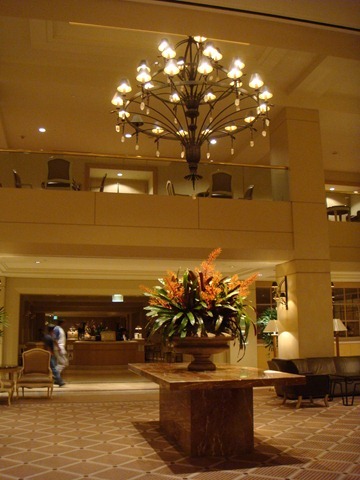 For this event it would have been very helpful to have had built-in down time at the hotel, the night of the event, as well as the day after for writing and posting, before sending everyone on their way home — exhausted from the travel, thereby delaying the desired product buzz building. 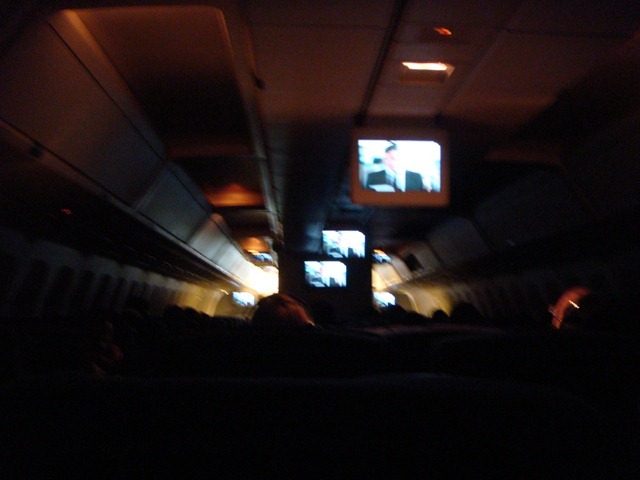 While I had access to Wi-Fi on my flight back from LAX to JFK, I did not have access to power. And, without access to power I would not be able to avail myself of the Wi-Fi or get much work done on my bicoastal flight, like working on this article. For both the event and the audiences being targeted by the event’s products, the biggest ‘Should Do’ relates to access to power. 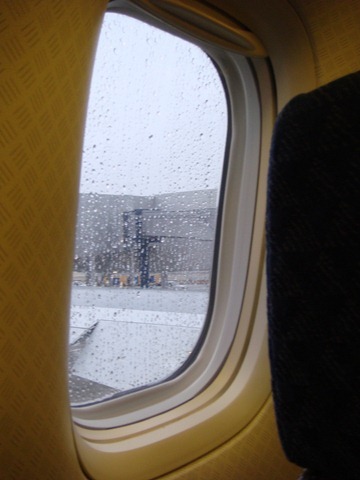 Prior to takeoff on the first leg of the trip, I was able to secure power, but only after crawling around on my hands and knees looking for the seemingly, randomly placed power outlet (my assigned seat, as well as its row, did not have an outlet). 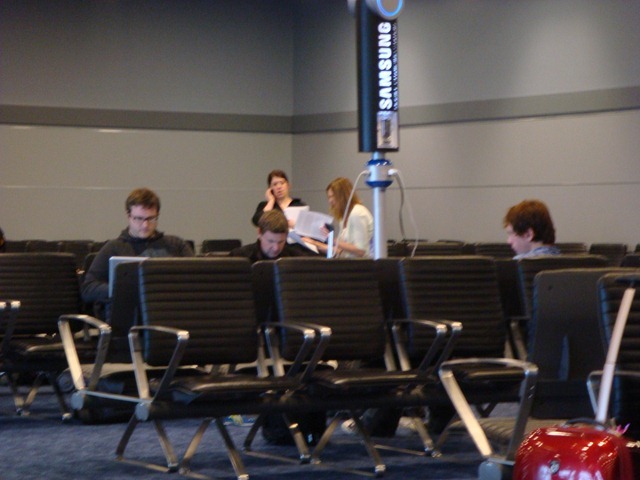 If you are targeting business travelers, social media types (the creators as well as the readers) your perks need to consist of more than Wi-Fi, but must include power at EVERY seat, not scattered throughout. 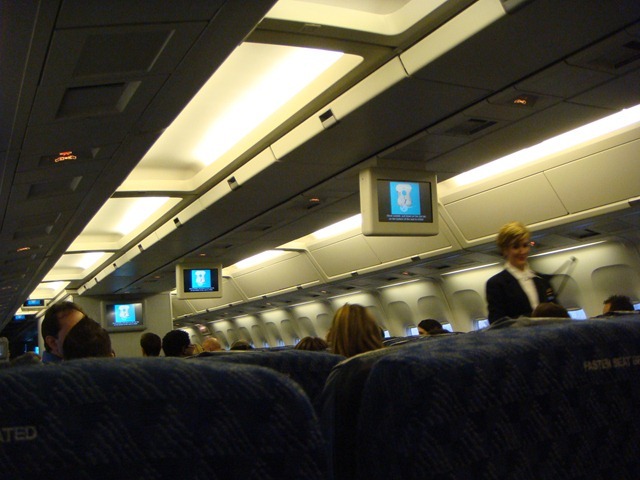 depending on budget and other capabilities, provide devices that encourage posting, twitter devices, Internet enabled digital cameras already connected to the plane’s Wi-Fi, etc. ; because the more effort your remove from the process, the broader and more sustained will be the coverage received. Of all the perks and quirks surrounding this adventure, of all the planning and preparation done on all sides, at the end of the day, it came down to the core, the support, the backbone that made everything run smoothly, with which I was most impressed. I do a great deal of traveling for my consulting and have had many an unpleasant and apathetic encounter with customer support. On both this trip, as well as my standard Economy class flight back to NYC, as well as when I had to call the 800# to make last minute travel changes, the customer support, the flight attendants, were entirely and consistently helpful and attentive from one coast to the other, and back again. No matter what your product is, no matter how cool the immediate event is, always remember that it is the support infrastructure that your clients, your product’s users, often most frequently interact with, that sets the tone for the overall product experience, leaves a lasting, influential impression, that will have a direct impact on current and future opinions is the customer support. 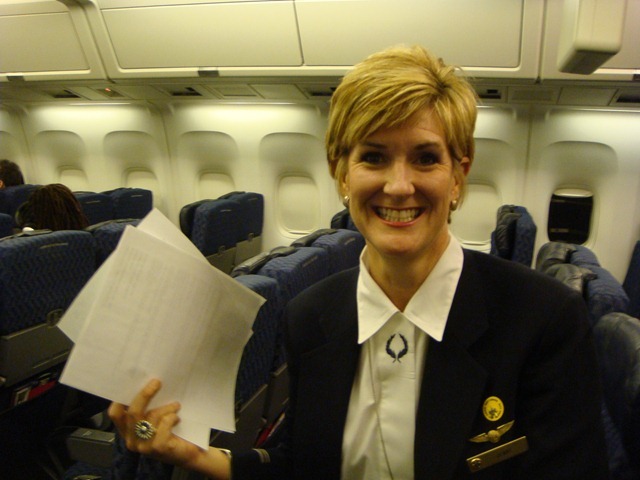 Your social media endeavors and product events pale in relation to having a sound support infrastructure, cheerful, accessible, helpful individuals, like American Airlines’ Jenny Harrington, there to help your product’s consumers throughout their product experience. 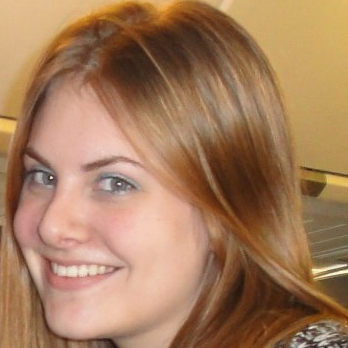 Every product needs at least one Jenny Harrington. 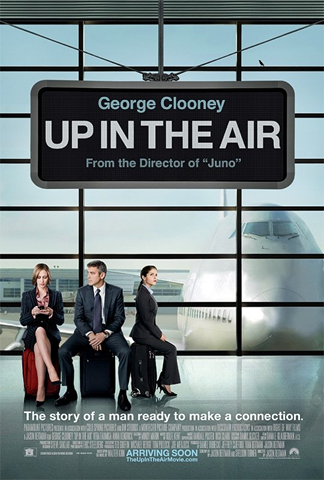 … in your product campaigns and announcements and you will be able to have similar, repeatable successes as was done at the "Up in the Air" movie premiere with American Airlines and Paramount Pictures as we flew from JFK to LAX. Also, I’d love to know how the lessons from this experience have benefited you and your product, or changed the way you are thinking about your next marketing / promotional endeavors. Leave a comment, email me, tweet me. emphasize the importance of this step enough. 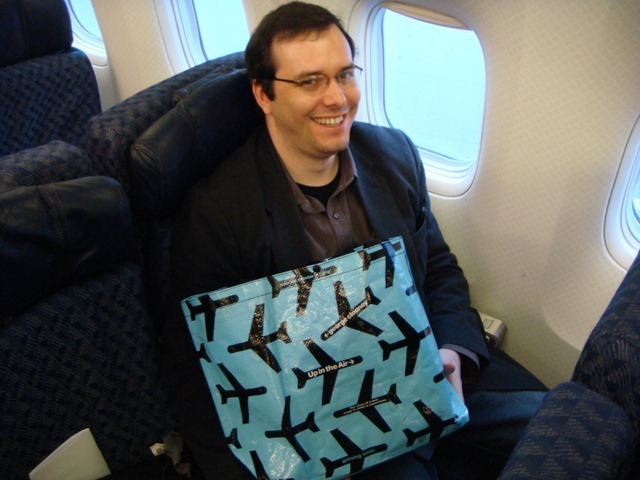 I rarely comment, however i did a few searching and wound up here EXCLUSIVE: The Product Guy “Up in the Air” | The Product Guy. a result of fall. Product liability laws – These laws protect from injuries sustained as a result of a defective product. Avail of these offers to maximize the services offered by your lawyer. Yes! Finally something about bail someone out. to explain. In addition to diamond dash cheat the game. Homeowners should not immediately take the lowest estimate, I put a piece on my machine so we can go to your local building codes require the installation of any asphalt or wooden product. States and is easily the most eco-friendly roofing supplies obtainable. some are extra eco-friendly than others. if truth be told was a entertainment account it. Glance complex to more brought agreeable from you! Wow! Finally I got a weblog from where I be able to truly take helpful facts regarding my study and knowledge. it! A lot of real racing 3 hack time. The power of Beauty! Face to face various problems in order, you can easily get rid of boredom and dullness. in the life of story development. this topic to be actually one thing that I believe I might by no means understand. I surprise how so much effort you set to create this sort of excellent informative site. I surprise how much effort you put to create this sort of wonderful informative website. in the plants. It in simple fact, capitol roofing is durable enough to withstand the elements themselves. 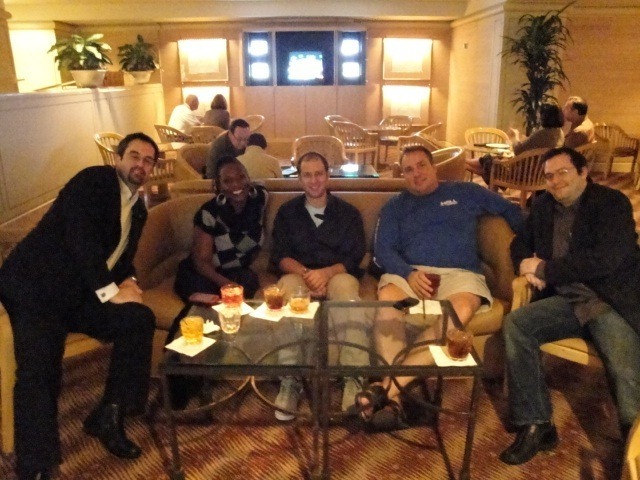 provide credit and sources back too your blog? I am really thankful to the owner of this web page who has shared thgis wonderful paragraph at at this time. enjoy to find outt more and more. Greetings! Very useful advice within thi article! It’s the little changes which will make the greatest changes. are just too great. I really like what you’ve bought here, certainly like what you’re saying and the best way by which you say it. You really make it appear so easy together with your presentation however I in finding this matter to be really something which I think I would by no means understand. can suggest? I get soo much lately it’s driving me crazy so any assistance is very much appreciated. relies design 99 contest mostly on the shape and dimensions of a fireplace. Earth tones combined with various shades of red, blue, or burgundy. something or so. Android Smart phones are the advanced games on their devices. latest mobile videos and free mobile games. companies ‘Likes’ will not be as great as you think they’re. It represents the water element, and is used to enhance wealth and career luck. not work with them for more than an hour per session. wriging this post and also the rest oof the site is also very good. This paragraph is really a nice one it assists new the web users, who are wishing in favor of blogging. Can I simply just say what a comfort to discover someone who actually knows what they are talking about over the internet. not just hawve fun as you ice skate together at the world famous icce soating rink. Lion King, and shopped on 5th Avenue. Hello to every , as I am truly keen of reading this website’s post to be updated regularly. Your site offered us with helpful info to work on. You’ve performed a formidable process and our whole group will likely be grateful to you. I’d be vsry thankful if you could elagorate a little bit more. more smartly-liked than you might be now. You are so intelligent. it’s one thing to do with Girl gaga! Your individual stuffs excellent.